YOUR INTENSIVE CARE HOTLINE - Quick tip for families in ICU: What questions you need to ask if your loved one can’t come off the ventilator and tracheostomy! Quick tip for families in ICU: What questions you need to ask if your loved one can’t come off the ventilator and tracheostomy! 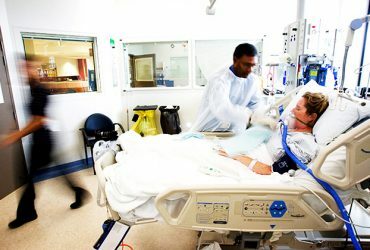 Hi, it’s Patrik Hutzel from Intensivecarehotline.com with another quick tip for families in intensive care. Many families in intensive care come to us especially when their loved one has a tracheostomy or a trach and they say to us, look my loved one has been off the ventilator now for a few days and today they put my loved one back on the ventilator. What is actually happening and they often don’t understand what’s happening and why it’s happening and they often don’t know what questions they need to ask really specialized questions, for example, you know, what does the arterial blood gas show or what does the chest x-ray show? You know, what is the breathing rate showing? The breathing volume on the ventilator etc., etc. So, you know, it already comes down to the quality of questions that you’re asking because you remember you don’t know what you don’t know when your loved one is in intensive care. So that’s my quick tip for today. Check out our website intensive care hotline.com and I’ll talk to you in a few days. Quick tip for families in ICU: Can Ventilation Weaning With Tracheostomy Be Done At Home? Quick Tip for Families in Intensive Care: When to Give Consent to a Tracheostomy? Quick Tip for Families in ICU: How Long Does it Take to Wake Up After Seizures and Cardiac Arrest? Quick Tip for Families in ICU: Prone Positioning or ECMO with ARDS / Lung Failure. Quick Tip for Families in ICU: How to Manage Future Expectations?